Do you struggle with time management, often thinking to yourself that there just aren’t enough hours in the day? Thankfully technology is here to save the day, as there are a large number of apps you can download to increase your productivity, check things off your to-do list, and generally be more organized and efficient. Here are some of our favorite free time-management apps for students. While the reference to homework might make you think this is more for school students, it’s actually a perfect app for all levels, from high school to university. myHomework Student Planner gives you a calendar in which you can track your upcoming assignments, exams, projects and other important events, as well as a homework widget where you can sync your assignments and receive reminders for when they’re due – ideal for avoiding being caught off guard by a deadline. Students who’ve used it have definitely noticed a difference, with one saying “@myhomeworkapp is literally one of the biggest reasons that I got a 4.0 this semester. Thank you, whoever created this wondrous app”. Another review says: “This app has saved my life on countless occasions”. If you like it, it’s also available ad-free for US$4.99 a year. Another of the best productivity apps available, Trello allows you to organize any projects you’re working on through boards, which you can then customize either solo or with others (making it ideal for delegating tasks for a group assignment). You can also have separate lists for tasks on your to-do list, tasks you’re doing now, and tasks you’ve completed. 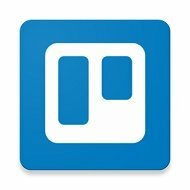 Lifehacker called Trello “an awesome project management tool that makes collaboration easy and, dare I say, even fun”. It’s free and available on Apple Watch as well as your phone. 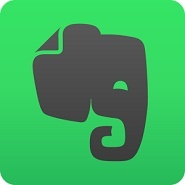 A great app for keeping your thoughts as well as your assignments organized, Evernote allows you to sync personal checklists and notes across devices, meaning you can work on a task on one device and later switch to another without losing anything. You can take notes in a variety of formats, including text, photos, audio, web clippings and videos, and can attach Microsoft Office documents and PDFs. It also lets you work collaboratively with others and share ideas, as well as plan events and set reminders. 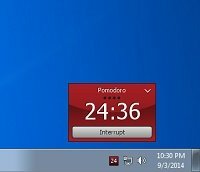 If you need to revise or get started on an essay, you might want to try the Pomodoro Technique, in which you can break up your work into intervals of 25 minutes, taking a short break after each one. This technique is proven to make you less likely to burnout. You only need a timer to do this, but there are apps available to time the 25 minutes and let you track your productivity, such as Pomodairo, an Adobe Air app that lets you mark where you’re getting distracted and see how long you’ve spent on different tasks. Or, if you’d prefer a desktop version, you could download Tomighty. If you’re hooked on social media and find yourself checking Twitter five minutes into a revision session, you may want to download an app to block yourself from going on social media or any other distracting websites. 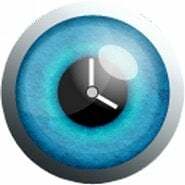 For Google Chrome users, StayFocusd is a highly rated extension which lets you restrict the amount of time you can go on time-wasting websites. Or, for your phone, you could use Anti-Social, which lets you see how much you use your phone compared to others, and allows you to block apps you overuse. There are also many time management apps for students that let you check off your virtual to-do list, ideal if you ever feel overwhelmed with tasks. 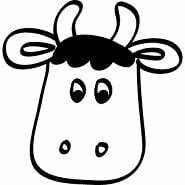 One such app is Remember the Milk, which can sync with all your devices and integrate with your calendar, emails, Twitter and other time management tools. Or, if you’re a visual person, you might prefer 2Do, which uses color coding and lets you categorize tasks by priority and subject. Another ideal to-do list app for procrastinators is Finish, which gives you a nice rewarding sound and checkmark feature when you complete tasks. Available for both iOS and Android, Google Keep is a note-keeping app that uses a pin board format, allowing you to pin notes, lists, photos and voice memos, easily search for previous pins, share your list with others and receive location-based reminders. It’s well known that flashcards can be an excellent tool for helping to memorize important information for exams, and Quizlet lets you create your own flashcards or study using existing ones made by other students. It also gives you hints on where you might need to improve, and has a game called Match in which you race against the clock. You can choose from over 220,000 study sets, and its features are available in 18 different languages. 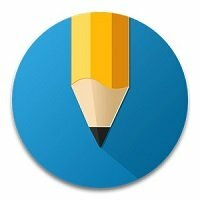 Last but not least in our list of useful apps for students, SimpleMind+ lets you organize your thoughts by creating mind maps, which (using the pro version) can be seamlessly synchronized to your Google Drive or Dropbox and shared with others. You can also enhance your mind maps with photos, videos and voice memos, and easily customize the appearance and select different layouts to suit you. It's an app for students who have trouble staying motivated and boy does it help me!!! I get all my homework done and get rewarded with cute items for my cute in-game bunny. It's such a great app, really turned my procrastination habits around. If you struggle like me, you should try it. In my third year of study toward my Children's Literature degree I used an app i think it was b4grad.com if I am not mistaken. Very useful, not sure if on android though. Thank you dear for your helping apps, Particularly to students around the world.